Gold for GESS! Coach Guy’s 14U girls sweeped Division 1, proving that they are indeed Singapore’s best school team. 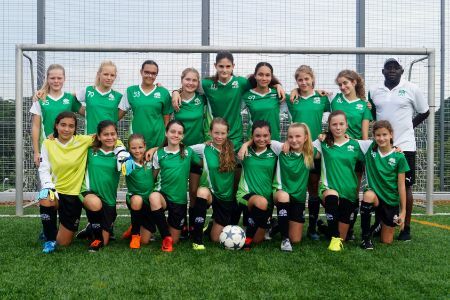 Last week’s wins against Tanglin (4-3) and Stamford (2-0) completed a football masterpiece, for which the girls deserve tons of credit. Well done! The boys, meanwhile, played an exciting game against Anglo-Chinese School in which they scored reams of goals – 9-3 for GESS. 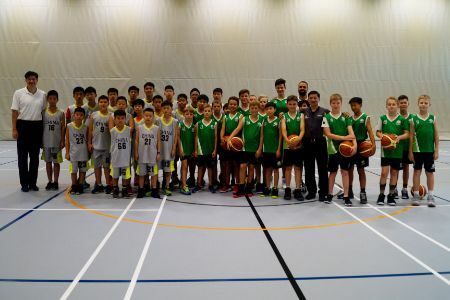 Shenzhen Primary School was here for a school trip and challenged our 11U and 12U boys’ squads to friendlies. 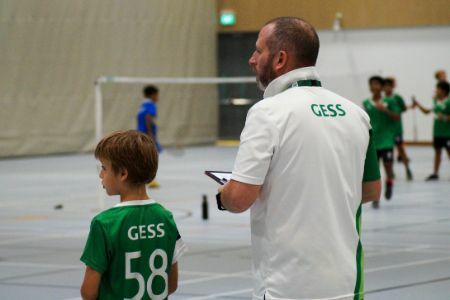 Spectators at GESS Sports Hall witnessed two high-class, fast-paced basketball games. A big xièxiè to Shenzhen! Both our high school teams lost their ACSIS games against St. Joseph’s and Nexus respectively, whereas the 12U completed the league with a clean sheet after beating UWC East convincingly. 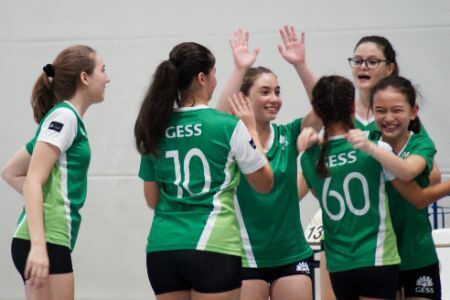 Our 14U girls once again showed great attitude and defeated UWC Dover in two close-fought sets. After a bumpy start, Coach Kunimi’s team concluded the season successfully with three consecutive wins. Great fourth place in a tough Division 1! The 11U boys celebrated a 4-1 victory over Nexus. Just like the girls team, they now have one more match to play to make this season a truly successful one.